It takes a long time to become a surgeon and when it is all over and the shingle gets hung, all physicians must spend a great deal of energy for the rest of their working lives soliciting patients. Some surgeons do this very aggressively with marketing, TV, Radio, etc. while others do it more subtly while still others merely join a busy group. Whatever route a doc takes while he or she to put time and effort into pleasing current patients and procuring new ones. With all this focus on “getting patients and getting busy”, young surgeons are very attuned to accepting almost any case. “you go into practice, you are not busy, you need patients and bang, here is one sitting in front of you with a check book and surgical request” . It can be really hard to say no, especially for those surgeons just beginning their surgical journey. “If someone walks into a car dealership and wants a car and has the cash, no one would ever consider saying no; but patients are not commodities and lives can be affected (doctor and patient) by accepting the wrong patient. Any surgeon that has been in practice for a decade or longer at some time or another knowingly or unknowingly accepted a surgical case that, in retrospect, they shouldn’t have. This is how we learn. Unfortunately, it is not easy as there is not frank quantification. I have always said that if someone could invent a device that you touch on a patient and it says “good patient, average patient, or bad patient”, our lives would be easier. Too bad for us, that is not possible. “I really think it takes years and unfortunately, getting burned a few times for the average doc to realize, wow, I will never do that again, on that type of person!” Even experience docs sometimes miss the mark. I have accepted patients that I thought were extremely stable, only to see them become noncompliant and problematic. I have, likewise, hesitantly accepted some patients that had questionable stability and they turned out to be model patients. “we will never get it right 100% of the time, but realizing the “red flags” can make our lives easier. Surgeons can have red flags too. No surgeon should ever do any case “just for the money”. We all know this but in tough economic times, some surgeons may relax their principles. Apparently unstable patients should also be another red flag. As much as we may want to do this surgery, this type of patient can make our professional and personal lives miserable as these patients can be very litigious and in some cases violent. A number of cosmetic surgeons have been murdered by disgruntled patients. My advice to novice surgeons, pretend the board of medicine is sitting in the room when you evaluate this patient, follow you surgical instincts, (they got you this far), if something does not feel right, “just say no”! Saying no sounds very easy, but in reality can be quite difficult. Most of us are polite people and are running a business. Most of us are honored when chosen by patients to be their surgeon and most importantly, most of us want to help our patients and please them. So, when a patient presents to your office, requests your talents, has the situation that you know you can improve and has the financial ability to pay for it, saying no can be difficult. Sometimes the patient makes it more difficult as they don’t want to take no for an answer. They keep pushing and sometimes begging. Then they pull out their tricks and begin ingratiating the surgeon. They speak poorly of previous surgeons and over complimentary of you. They may point out that they traveled a long way to see you or that “no one else understands them”. Most of these people are experts at getting what they want (or think they want, or want at this second) and can be extremely persuasive. I have been in practice for 27 years and have at times accepted the wrong patient. These are the people that want their money back, will defame you with other people and surgeons, will call you 24 hours a day, and can be very disruptive. It has been said that 1% of your patients cause 99% of your problems, well, this is the 1%. I have noticed a huge increase of this type of patient as the Internet has developed. I, like many surgeons, went from seeing patients from all over my city, to all over my state, to all over other states, to other countries. This increase in the patient pool can bring proportionally more unbalanced patients to the office. Also, manipulating patients feed of off the Internet as it can find them more prospective “hits” as many surgeons in their geographic may have turned them down or know their M.O. By the same token, I have had some of my best patient experiences with out of town patients. There is not guarantee either way. Red Flags during the consultation. Patients with known Body Dysmorphic Disorder or psychiatric condition. Any overly narcissistic or immature patient. Patients that don’t smile or may eye contact. Patients that won’t listen and just talk. Patients that are having surgery for the wrong reason such as a failing marriage, promotion or in the midst of a loss. Patients that cannot decide on a surgical plan or say “do what you think I need”. Patients that are overly impulsive, want to book surgery at first evaluation appointment. 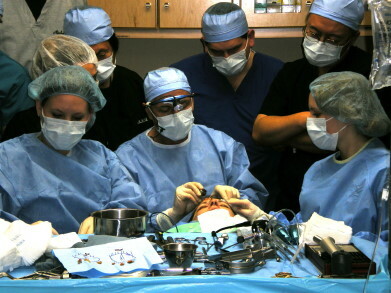 Patients the “know” more about a procedure than the surgeon. Patients that tell the surgeon what procedure to in extreme detail. Patients obsessed with online cosmetic surgery bulletin boards or cosmetic surgery sites. Young patients that have already had numerous surgeries or request surgeries generally performed on older patients. Patients over reacting to a small flaw. Patients that complain about financial arrangements or are pushy about discounts or are otherwise “shoppers”. Patients that insist on absolutely no photographic documentation or are resistant go give important information such as cell phone numbers, etc. and insist on “secrecy”. Patients desiring surgery with intense familial disapproval. Patients that are rude or pushy. So, how does a doctor say no to a patient? Good surgeons frequently say “no”! This sounds easy but in reality may be difficult. The best means I have found in doing is to simply tell the patient that I have considered their request and looked at everything carefully and “I don’t think I can make them happy”. I do not get into details that may lead to arguments. Although many surgeons may ask a patient to see a psychiatrist, I never do, that is not my job, and if a patient is in need of that much evaluation, it is probably a mistake to operate on them at this point. Also, many patients are offended by such a request. I am always polite and stay away from issues that may be offensive or insulting. A patient can argue with me if I question their mental stability or motivations for surgery, etc. No one can argue with my appraisal that “I don’t feel that I can make you happy”. My advice to novice surgeons is to try to learn these pearls without making these mistakes themselves. Speak to older colleagues that have experience with this type of patient. Sharing others “war stories” can assist in optimizing the surgical experience. An ethical surgeon and balanced and compliant patients are a rewarding experience.